← John Brown Smokehouse. wow. 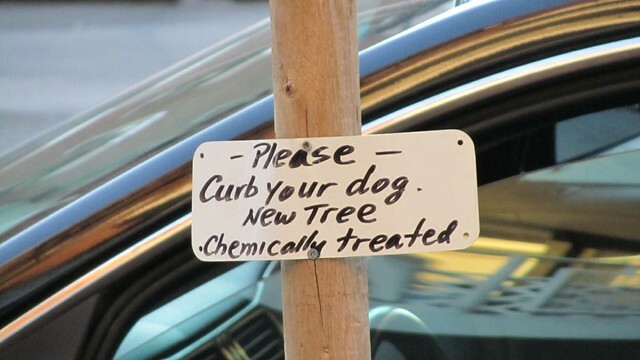 please curb your dog. but not your trash? I just had to share this ridiculous juxtaposition of the sign and the situation it is in. I love that there was care taken in staking the tree, nailing the sign onto it and then an entire building’s worth of trash was casually tossed on it for the morning pickup. The first image is a close up shot of the bigger picture. I hope this brings a smile to your face today! curb your dog. but not your trash? 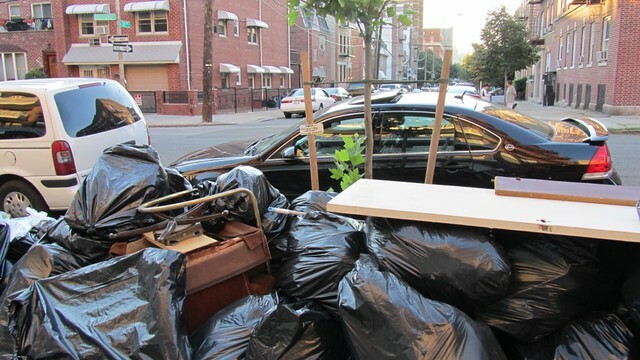 This entry was posted in everything i've blogged, observations and tagged animal, dog, New York City, trash. Bookmark the permalink.